If you are new to my blog...Welcome. If you are a regular visitor, you know by now that my favorite colors are shades of Blue. 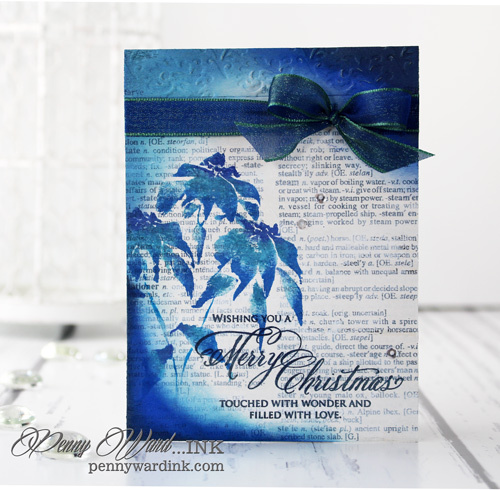 Personally I have never seen a Blue Poinsettia, but I can dream....and make art! No one does more beautiful flower/foliage stamps than Penny Black. I wish I could own each and every one of them! To make this card I sprayed adhesive to a dictionary page and adhered it to White card stock. Gesso was added to tone down the text. 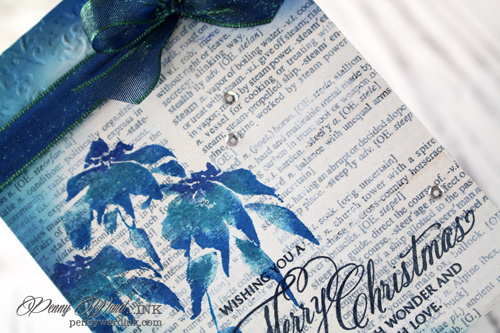 Stamped Poinsettias in Blues and Teals using a Misti stamping tool. Embossed just about an inch at the top of the card, then inked the edges. Sentiment was stamped with StazOn Jet Black to adhere to the gesso. ETA: I found a challenge to play in. Simon Says Stamp Monday is having a Throwback Challenge. Find a past challenge to play in. You should stockpile 'anything goes' challenge sites for your play days. I love your use of a non-traditional color for the holidays. Very lovely! THIS IS ABSOLUTELY AND POSITIVELY BLUETIFUL!!!! WOW - took my breath away - it is so lovely!!! 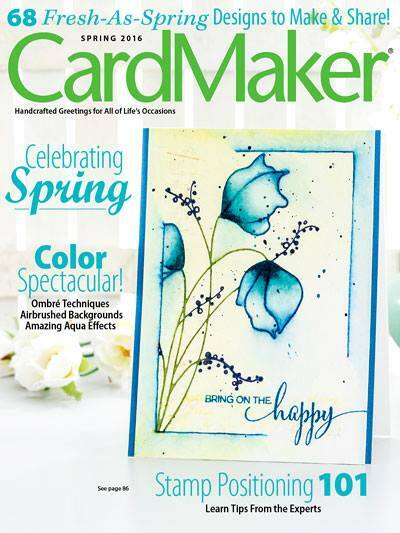 I, too, love all those Penny Black foliage stamps. Can't get enough! I absolutely LOVE the way you did this blue. So very elegant!